Yggdrasil is one of the newest breakout stars in the online casino industry. Unfettered by years of old-school casino technology, Yggdrasil entered the industry in 2013 and quickly drew attention for its well-designed slots and special focus on mobile gaming. Yggdrasil (named after the mythological Tree of Life which is pronounced “ig dra sil” in case you were wondering) made the jump to HTML5 quicker than most casinos and that forward-thinking approach has put them in a prime position for cross platform play. The graphics are so good on Yggdrasil that sometimes you feel like you’re playing a high-profile video game instead of an online slot. Yggdrasil further differentiates itself from the rest of the pack by offering custom games for certain casinos! The company will work closely with a particular casino and let them provide direction for creating a unique game that will only be available on that site. In an industry that suffers monotony, Yggdrasil is carving a new path. Yggdrasil refers to itself as an underdog when compared to established casino giants but it would be a mistake to underestimate the small but growing company that began in a single office in Sweden. As one of the most recent entries in the online gaming world, Yggdrasil was able to skip the clunky download-only versions of casino software that dominated the early 2000s. Instead, Yggdrasil focused entirely on browser-based software, first with flash tech but later with HTML5, which the company brands as its iSense platform. There are numerous advantages to utilizing HTML5, not the least of which is the ability to offer a single unified platform across multiple devices. Because HTML5-based games operate entirely in browser, that means users can play Yggdrasil games on any device that can run a browser, which is basically all of them. That means players can enjoy Yggdrasil games on desktop machines such as Windows-based PCs or Macs running OSX. The browser-based software also adapts to mobile devices running Android or iOS to create a seamless gaming experience. Another advantage of HTML5 is that games look fantastic. The avatars and icons are rendered in 3D and are definitely influenced by modern video games. Fortunately the games aren’t too busy either. Finally the games also benefit from a speed increase thanks to HTML5. You don’t have to take our word for it, however, as all Yggdrasil are available for free play so that you can try them before actually depositing on an online casinos. It’s a smart choice for Yggdrasil because their games are a cut above the vast majority of what’s available online. Yggdrasil is a slots based company so you won’t find much on the network if you’re looking to do something other than spin. Fortunately Yggdrasil is very, very good at the whole slots thing and make some of the best slots in the world, especially if you like modern slots. Yggdrasil also develops some of the most unique slots around so you won’t be getting bored any time soon. Players might be surprised to learn that Yggdrasil only offers about 40 slots (although that number is going up nearly every month) but each game is such a work of art that it’s really hard to complain. Every one of Yggdrasil’s slots is designed in-house with company assets so you’ll find some of the unique slots on the Internet. Some of the highlight games include Jungle Books, Holmes and the Stolen Stones, Robotnik, Reef Run and Draglings. 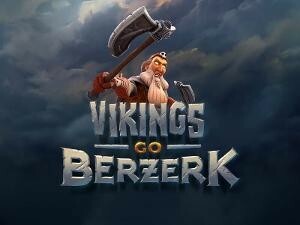 Yggdrasil has some exceptional Viking slots in Vikings Go Berzerk and Vikings Go Wild, which makes sense considering the company’s name (a reference to Norse mythology) and its start in Scandinavia. Yggdrasil also offers Valley of the Gods for the always popular Egyptian slot machine segment. There are some very big progressives with Empire Fortune paying out €5.2m to a single player in 2017! One of the only downsides of Yggdrasil slots? You won’t find any big licensed games. As one of the relatively smaller developers, Yggdrasil hasn’t bought into some of the big movie studios or video game labels to produce games. On the other hand, Yggdrasil has a unique style and movie-based games probably wouldn’t fit that style anyways. Yggdrasil also does a great job of building “easter eggs” into its games so even when you think you know everything about a certain slot you’ll unlock something entirely new. Yggdrasil does not offer a live casino. Yggdrasil does not offer anything beyond casino games but it does have a variety of platforms that operators can take advantage of including promotional programs and the investment-based Yggdrasil Dragons. Yggdrasil does not offer a traditional social-gaming app but because all its games are free-to-try you could make an argument that all its games are available for social. Yggdrasil began when Fredrik Elmqvist, the former CEO of gaming giant NetEnt, had the vision for a new type of gaming company that focus on quality over quantity with graphics and artwork that was more reminiscent of high-profile video games. The company began with one small office in Sweden, but by the time the company was officially launched in 2013 they had relocated to Malta and opened a full office. 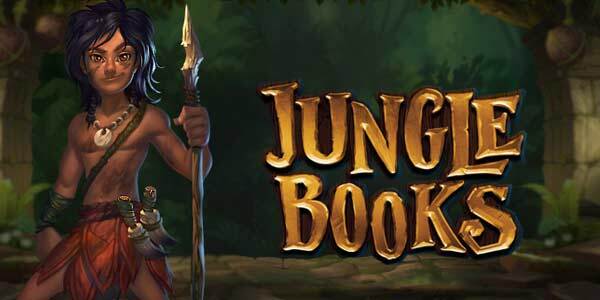 The major casino sites immediately took notice and started signing deals with Yggdrasil to get early access to the company’s high-quality slots. Yggdrasil has exploded in a relatively short amount of time and now boosts over 100 employees spread across offices in Malta, Poland, Sweden and Gibraltar. There are very few, if any companies, that have entered the online gaming world in the last 10 years that have had the impact of Yggdrasil. The company is still growing rapidly and remains one of the torchbearers for the entire industry with multiple awards from international organisations. Yggdrasil has a different approach than most gaming companies in that it is focused 100% on online slots and quality rather than quantity. Many gaming companies are multi-national behemoths that operate in a variety of different markets including land-based casinos, table games, live casinos, social gaming, lottery and more. That multi-pronged approach has its strengths but can sometimes lead to an overall watering down of certain segments such as slots. Meanwhile Yggdrasil’s pinpoint focus has allowed them to distance themselves from their competition with some of the most colorful, highly sought after slots in the entire world. If you haven’t played online in awhile then you owe it to yourself to try Yggdrasil slots!